Lancaster district is a great place for business. It’s well connected, locally, nationally and internationally, sitting adjacent to the M6 and on the West Coast mainline, around 1 hour from Manchester and Liverpool and 2 hours from London. The Port of Heysham provides direct access to Ireland and the Isle of Man. Land and premises are available to suit all business needs in a range of locations; in Lancaster, one of just 11 English Heritage Cities; alongside the spectacular Morecambe Bay in Morecambe, Heysham and Carnforth; or in the beautiful Lune Valley and Forest of Bowland. With nationally acclaimed schools and two outstanding universities, the district is creating a skills base for the future. Nearly 35% of the workforce is educated to degree level or higher, above the national average. We’re home to Lancaster University and the University of Cumbria – the former being ranked in the top 1% of universities in the world. As a place to visit or to live and work, the County is extremely attractive. Building on this strength seems key to developing the area’s potential as a great place for businesses, to attract and retain the workforce we need for the future and to develop our strong visitor economy. With over 7 million visitors a year, the district’s offer for visitors is developing fast. The opening up of Lancaster Castle and delivery of the significant retail led Canal Corridor North scheme will continue to improve the diverse cultural offer as part of the district’s quality of life. Local markets and information for traders. Any business will know that most worthwhile expansion carries with it some sort of risk. But local entrepreneurs should know there’s a huge range of tailored public support available to help their companies move forward, mitigate and appreciate those risks and make a success of their growth strategies. Get in touch with Boost and see what they can do for you. We’re home to Lancaster University and the University of Cumbria – the former being ranked in the top 1% of universities in the world. 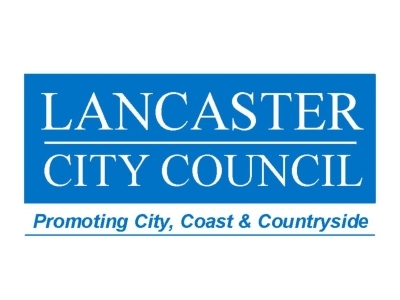 The proposed Lancaster University Innovation Campus will build on the County’s academic reputation and status as a leading research centre. The Port of Heysham is a 24 hour gateway to the district and wider North West region, offering round-the-clock access to Ireland and the Isle of Man with direct links to major routeways to the rest of the UK. As a place to visit or to live and work, the County is extremely attractive. Building on this strength seems key to developing the area’s potential as a great place for businesses, to attract and retain the workforce we need for the future and to develop our strong visitor economy. As the county’s Growth Hub Boost has demonstrated its credentials over a number of years and through a range of programmes, which have had a major positive impact for business. The new phase of Boost work backed by the Lancashire Local Enterprise Partnership helps businesses and also those organisations that support business to implement sustainable economic growth.